It was exactly a year after finishing chemo almost to the day that I hopped on a plane with ten friends, off for a girls’ weekend to celebrate the birthday of one of our number. Two years ago, I would have taken such a weekend in my stride. I’d have joined in with the chat, the laughter, maybe a few drinks, and some dancing. I’d have looked forward to the beautiful destination, a stunning hotel, lots of relaxation, delicious meals, sunshine, stunning views, a break from home, lots of girly chat, and plenty of laughter. But fast forward these past two years, and now this weekend promised a different kind of trip. 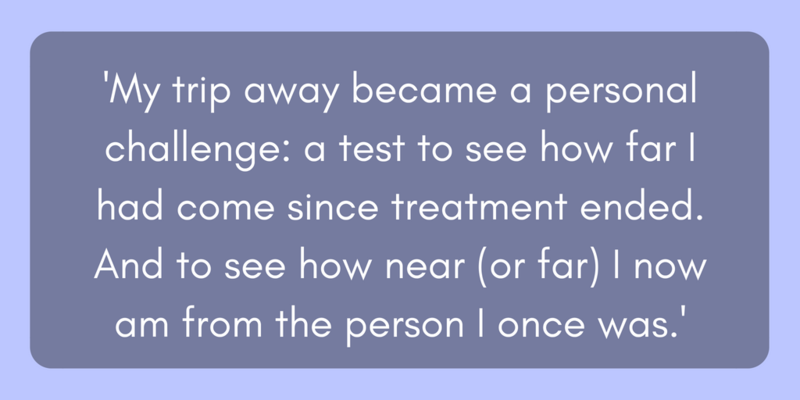 In the end, it became a personal challenge: a test to see how far I had come since treatment ended. But also a test to see how near (or far) I now am from the person I once was. I still don’t have anything close to the energy levels that I used to have. I am generally quieter than I once was. I wasn’t as comfortable in a large group of people as I would be with just, say, three or four friends. It was hard to be away from home without the support of my husband by my side. 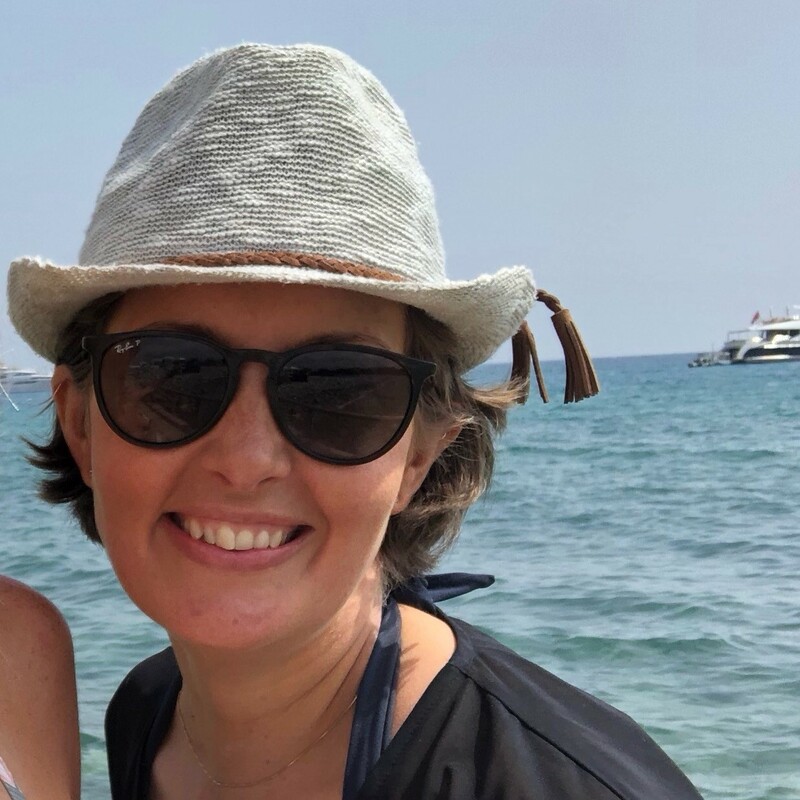 I wasn’t comfortable sunbathing with everyone else thanks to the post-radiotherapy skin and fears surrounding the risk of skin cancer. In fact, being honest, it was also thanks to the fear of any type of cancer constantly playing on my mind. I held myself back a little partly due to my abstinence from drinking. I don’t drink alcohol these days for a variety of reasons but mostly because it just doesn’t go down well. Even a small glass of wine gives me a headache, palpitations, and sends me to sleep - all of which are still far too reminiscent of the chemo effects. It can be hard being the quiet one on the edge of the conversation, unable to compete with the volume of everyone else. And, hardest of all, I am still struggling with anxiety, low self-confidence, and low self-esteem. 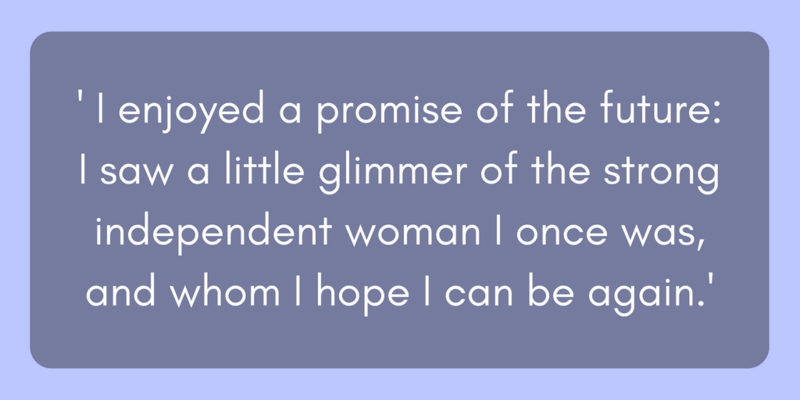 …But I also realised that despite the past hellish eighteen months, I am still here. I’m still standing, still breathing, and still (mostly) smiling. Despite cancer, and everything that it brought me both during and since treatment, I made it on the trip. On the whole, I coped. Thanks to my constant anxiety, I had worried that I wouldn’t. I coped with taking myself out of my comfort zone: I got on a plane and spent four days in a completely different environment, away from the safety of my husband, children, dog, and my parents just up the road. I coped with being in a large group of people. I coped with being on my own in a new environment - sometimes staying at the hotel on my own whilst the others went out. And I coped with the break from my usual routine – the one providing me with a safety net of normality which helps keep anxiety mostly at bay. And whilst many aspects of the weekend were difficult, I did put on a bikini (because life is too short to worry what you look like); I held my head high with my short hair (because a hairstyle doesn’t define me); I tapped my foot to the music in the beach club; and I was impressed by the stunning views. ...And I allowed myself to dream about the future. So, although I was pleased to get home and while I may have been the one quietly going to bed early, and finding it hard to join in, I was also the one enjoying herself in her own way. I enjoyed being with good friends, the beautiful scenery, the gorgeous food, the warmth of the sun on my skin, and most of all (maybe selfishly) I enjoyed a promise of the future: I saw a little glimmer of the strong independent woman I once was, and whom I hope I can be again. 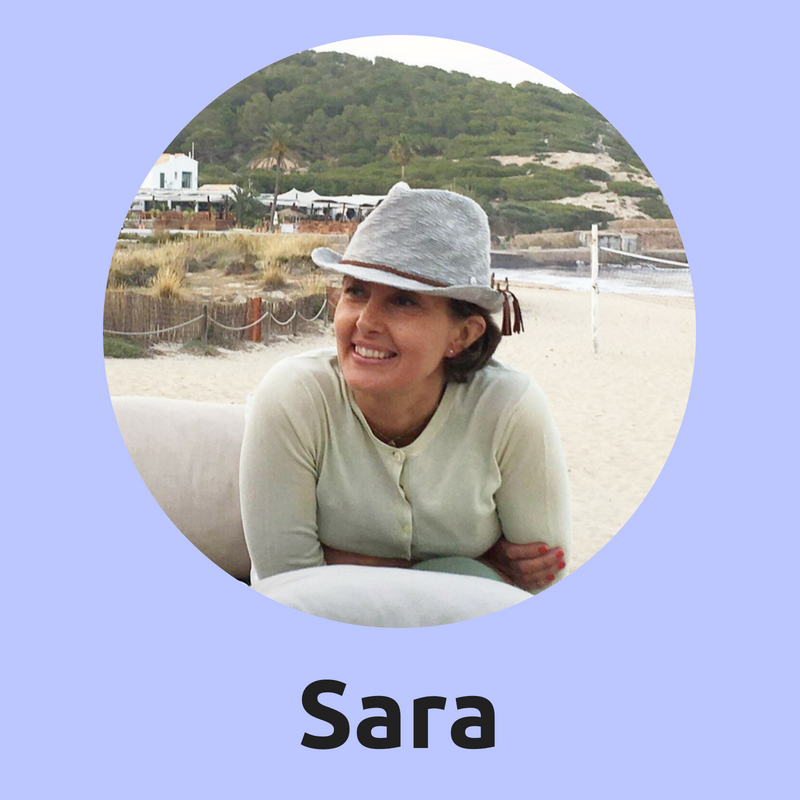 Sara was diagnosed at 42 and is now searching for her ‘new normal’. Follow her on Facebook, Twitter and Instagram. 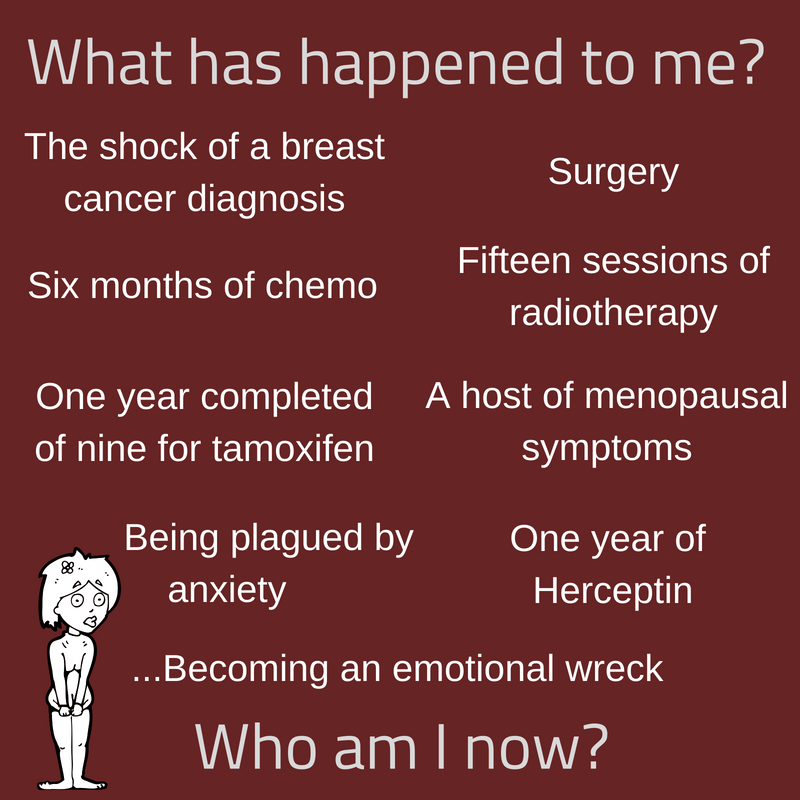 She’s collated some resources to help people move on after cancer treatment ends, over on her Life After Cancer page on the website, www.tickingoffbreastcancer.com. I can so relate to this I am on holiday now and the days and weeks beforewere fraught with “what ifs” . nearly called the whole thing off. . The morning after we arrived I wanted to go home - out of my comfort zone even thiugh we had visited this hotel before. Eventually rationalised this- it is only for a week.settled to enjoy the warm sun and good company of my lovely husband. Next: A few anxiety studies: what helps?